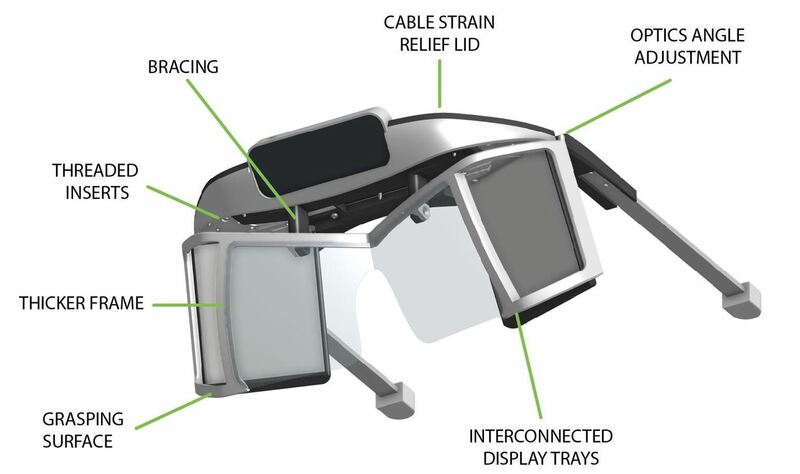 In the current state of the augmented reality space, Leap Motion is the only well known name in DIY AR headset kits with its Project North Star design, which gives makers the blueprints to build their own headsets. Now, the motion sensor company is aiming to refine the open-sourced design of the AR kit. On Thursday, the company released the third version of the Project North Star headset design, giving the headset a more comfortable fit, flexibility in setting focal distance, and, most importantly to me and my visually-impaired brethren, the ability to accommodate prescription glasses. "Our goal with this release is to make Project North Star more inviting, less hacked together, and more reliable," said Florian Maurer, a senior product prototyper at Leap Motion, in a blog post. The latest design also gives Project North Star headsets a new headgear arrangement. Previously, Leap Motion employed a kind of welder's headgear dynamic, with a top strap for balance. Now, the headgear sits higher on the wearer's head, allowing the headset to balance itself without the need for a top strap. Leap Motion also added a break system to the sliding mechanism for adjusting the headset and preventing it from sliding forward during use. In addition, to counterbalance the weight of the headset's cables, Leap Motion redesigned the headset's shape to add rigidity to its structure while actually reducing its overall weight through better 3D print settings. 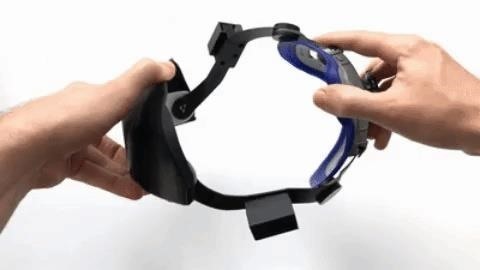 Finally, Leap Motion has integrated variable focal distances into the headset by adding a 75 centimeter display mount, which makes viewing content set further away more comfortable, along with the standard 25 centimeter mount. "We spent considerable time determining where North Star's focal distance should be set, and found that it depends on the application," said Maurer. While the headset blueprints are not for the mechanically challenged, community support has made the endeavor a bit easier. 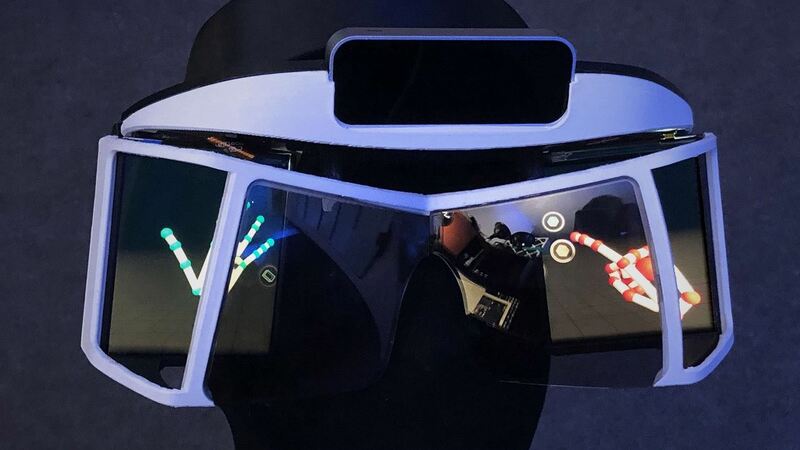 For instance, a professional product prototyper has mass-produced the reflective lenses, decreasing the cost of the component from $200 for a custom-cut pair to $40 for a fabricated pair. "While the bleeding edge of Project North Star development is in our San Francisco tech hub, the work of the open source community is a constant source of inspiration," said Maurer. "With so many people independently 3D printing, adapting, and sharing our AR headset design, we can't wait to see what you do next with Project North Star." For those living on the edge, the latest Project North Star design is now available for download via Github. And, with the right set of skills and some sweat equity, you can have an AR headset of your own for fraction of the cost of a HoloLens or Magic Leap One.